sailboat. : Five Things & Five Blogs I Love Friday 030. After a pretty crappy week, I have loved nothing more than getting sweet bunny cuddles from little Ralphie. As he gets older he's starting to love cuddles with mama even more, although I'm sure he would never admit that if he could! Clippy is, quite frankly, a bloody brilliant concept that I wish I had the creative knowledge and vision to have thought up! It is in fact the brainchild of Calypso Rose who originally made the first Clippy bag because she wanted to display her Polaroid photographs in a bag. Since then the company has grown into something so wonderfully amazing & after sending a few emails back and forth to Calypso, I can definitely say that this success couldn't have happened to a nicer person, she is lovely! 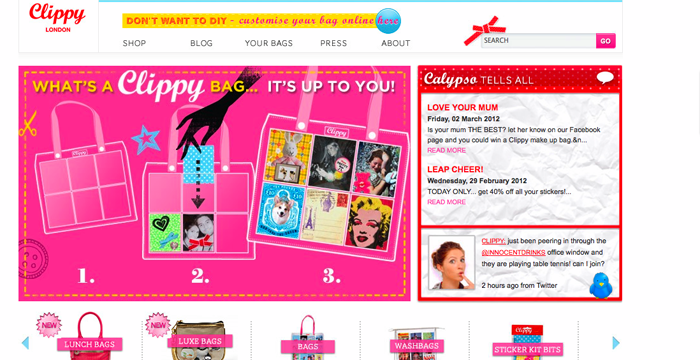 I'm currently customising a Clippy make up bag which I am absolutely loving & I think my next Clippy project will be one of the washbags! Discovering a new blog is always so exciting, in coming across that little piece of the internet you're getting a glimpse into someone's thoughts, life and loves. There's something so incredibly wonderful about sharing the bloggersphere with lots of really wonderful people that you would never have otherwise 'met'. Lately I have seen a lot of negativity floating around, but I think it's important to ignore that and remember why you started blogging in the first place. Some are seemingly so concerned with what other people are doing when instead, it's important to focus on what you are doing. Whether you're blog is established or new, about fashion or food it doesn't matter - everyone is part of the blogging community and everyone has the right to write about whatever they want. That's the magic of blogging, it's a place where absolutely no one has the right to think they're better than anyone else or to dictate what everyone should be writing about because that would make the bloggersphere a very dull place indeed. Life would be so incredibly boring if we were all the same! I just wanted to say, please don't get disheartened if you see anyone say that new blogs aren't as good as more established blogs or that you have to blog in a certain way to be successful, that's complete rubbish, if you love your blog make sure you keep going and you will see it blossom into something wonderful, I promise! As you may, or may not know, this week was bloggers week over at Buyapowa and I had so much fun choosing a product after I was asked to be involved! I was super happy when my choice of Promise Cream Blush from Illamasqua sold out pretty quickly and I hope that every who bought one absolutely loves it as much as I do! Thanks to some lovely people who purchased the blush through my link, I won a free one which I will be giving away here sometime very soon! Yay! There are also still some amazing products up on the site, chosen by lots of wonderful bloggers so there are lots of bargains to be snapped up! Five. 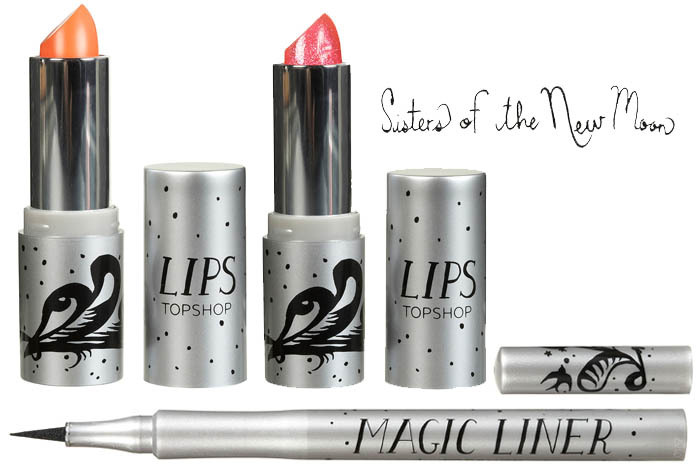 Topshop Sisters Of The New Moon Collection. Topshop make up is fast becoming one of my favourite make up brands. The products are affordable and most importantly, they are such good quality! The collections they come out with are just wonderful and the latest Sisters Of The New Moon Collection is no exception. I have my eye on the Magic Liner, the lipstick in the shade Charmed & the lipstick in the shade Crystal. I think a trip to Topshop is on the cards very soon! One. Courtney xo. Two. Ginger Pickle. Three. I Covet Thee. Four. Ella. Five. Pretty Much Penniless. Oh...my....gosh...Ralphie just gets cuter and cuter!! I never knew bunnies liked affection so much! OMG Ralphie is the cutest little bunny ever!! I love finding new blogs and I want to thank you for introducing me to new blogs. Oh, I know what you mean about discovering new blogs - it's quite exciting when you read the first post and just know that this is someone you're going to stalk! In fact, I love your Friday posts because I always check out the 5 blogs, and almost every time I find a new one to follow. Maybe you'd like to 'discover' mine sometime? I don't update as regularly as I'd like, plus outfit posts have rather fallen by the wayside of late, but I try! Aww I absolutely love rabbits. 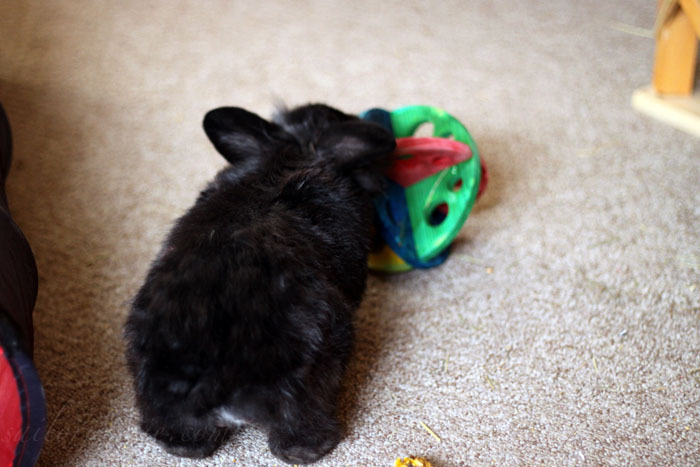 I have two mini lops. They're absolutely gorgeous! Would love to try that topshop magic liner. It'd be great if it was waterproof too. Aww, Ralphie's cuddle picture is really sweet! I have never heard of the clippy idea before, but it sounds awesome. Saved in my bookmarks! I heard a lot about buyapowa now, I'm not sure if it's also available for my country (Austria)... will have to find that out, somehow! You absolute doll! Only just noticed you linked to me in this, thank you so much.